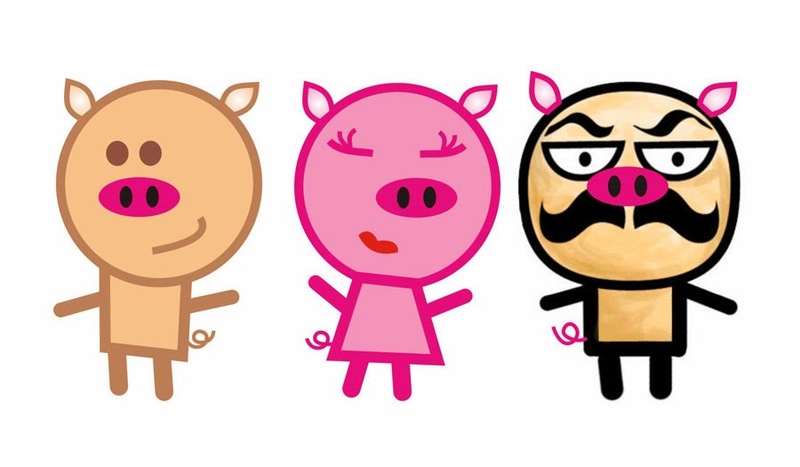 Once upon a time there were three little pigs and the time came for them to leave home and seek food. Before they left, their mother told them "Whatever you do, seek the best food you can because that's the way to get big in the world." A light bulb pops above Pig #1's (Babe for Food) head and she declares, "Let's go to France! Paris! Creperie Paris!" Pig #2 (Baktin Corporation) goes, "The French 'invented' cooking! Paris we shall!" Pig #3 (Pigstachio), ever the easy pig, licks his lips and nods his round head in agreement. All three pigs wave good bye to their mother and they file out of the pig pen. 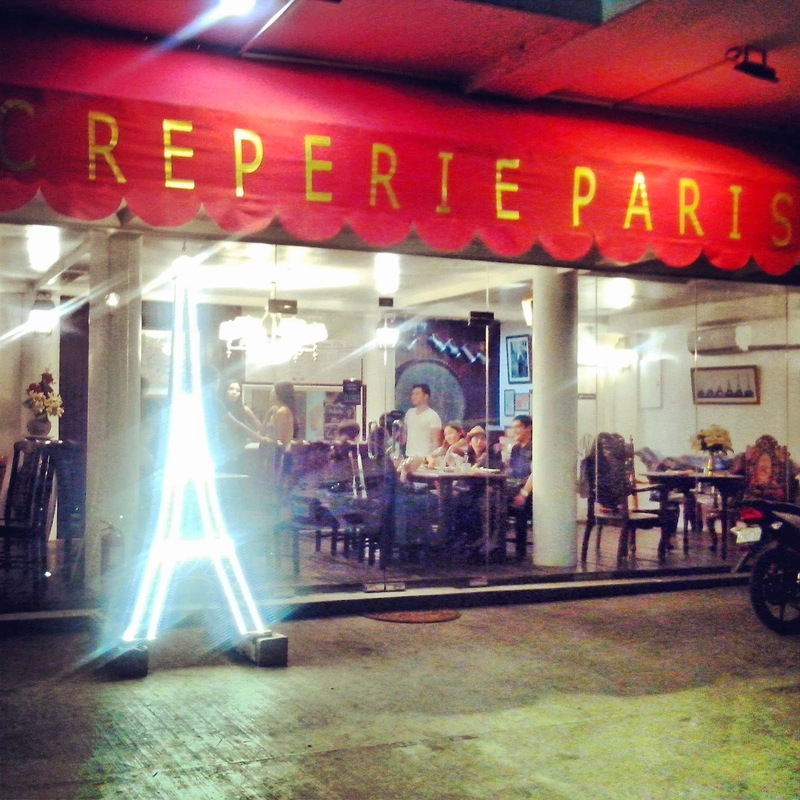 They march their way to Paris—Creperie Paris. In Creperie Paris, the interiors made Pig #2 feel sophisticated and he orders the cheese platter (Php 295, choose three items from about ten options), and a glass of red wine (Php 95-115). Yup, Pig #2 is the "cultured" one of the bunch. The three little pigs decide one cheese platter is not enough so they add one savory crepe (made of buckwheat) each. The first little pig orders La Classique (Php 170; ham, egg, cheese) because...it is a classic! The second little pig orders La Fermière (Php 185; mushrooms, bacon, egg, cheese) because...you can never go wrong with bacon! The third little pig orders La Raclette (Php 215; ham, onions, baby potatoes, cheese) because...it's Creperie Paris's owner's current favorite! While the three little pigs are digging into their savoury crepes, the Big Bad Wolf comes along and sees the first little pig digging into her La Classique. The Big Bad Wolf goes, "Lemme eat you, lemme eat you, little pig or I'll stomp and I'll chomp and I'll gobble your crepe up!" The Big Bad Wolf, not satisfied with his small bit of perfectly delicious La Classique, turns to the second pig and goes, "Lemme eat you, lemme eat you, little pig or I'll stomp and I'll chomp and I'll gobble your crepe up!" The Big Bag Wolf is enjoying the crepes but he wants more and turns his eyes to the third little pig. "Lemme eat you, lemme eat you, little pig or I'll stomp and I'll chomp and I'll gobble your crepe up!" Pig #3 trembles with fear as he tearfully hands over a portion of his La Raclette. 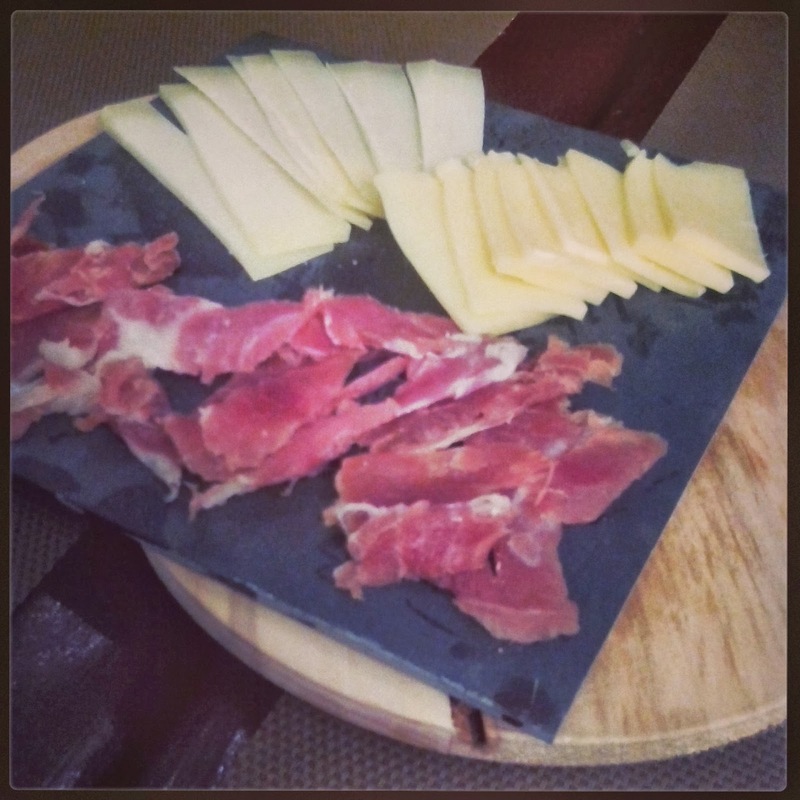 The Big Bad Wolf is quiet for a few moments, savoring the awesome flavor of the La Raclette. Because each of the pigs did not get to eat his entire portion, as pigs go, they were still hungry and want more. 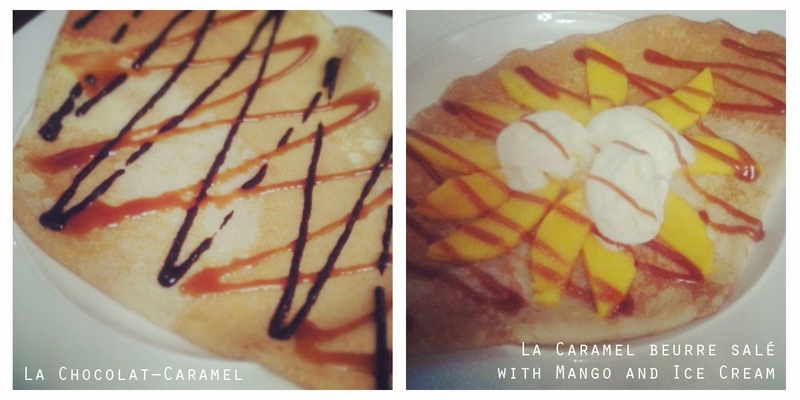 While the Big Bad Wolf looks away, the pigs whisper to the server for two sweet crepes: La Chocolat–Caramel (Php 125, salted caramel with dark chocolate or Nutella) and La Caramel Beurre Salé with mangoes and ice cream (Php 145, salted caramel with mangoes and vanilla ice cream). They know they won't be able to escape the Big Bad Wolf, but half a crepe is better than being eaten alive, they think. When the two plates of sweet crepes get plunked on the table, the three little pigs frantically slice up the sweet crepes and offer portions to the Big Bad Wolf before he could say, "Lemme eat you, lemme eat you, little pigs or I'll stomp and I'll chomp and I'll gobble your crepes up!" Fortunately for the three little pigs, that quick gesture seems to satisfy the Big Bad Wolf. The three little pigs heave a huge sigh of relief (and almost jump off their chair with joy) when the Big Bag Wolf declares: "I think I shall never eat a Pig again! These crepes from Creperie Paris are tastier than these three pigs combined!" And they all live (with bulging stomachs) happily ever after! 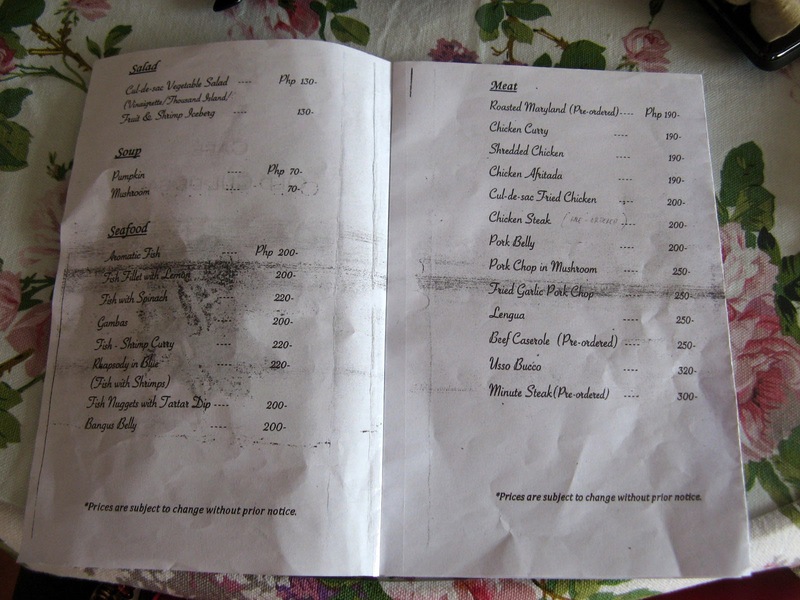 Mister Baktin had the Osso Buco (Php 320) and he says: "The Old Cul de Sac succeeds by reinventing the middle ground between those high-end restaurants at Crossroads and your favorite hole-in-the-wall at downtown Colon. 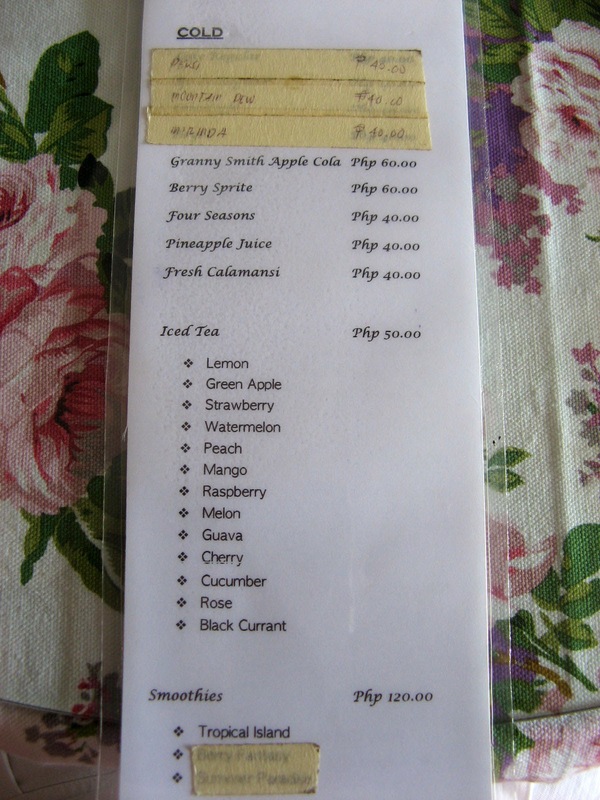 But those who have been to this hidden gem in Banilad, don't care about Cebu's culinary landscape in the first place. 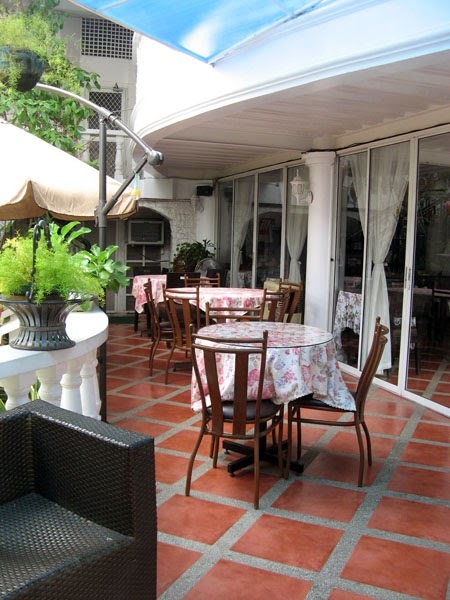 They come here to enjoy the impeccably tender (yet reasonably priced) Osso Buco and other home-cooked meals. 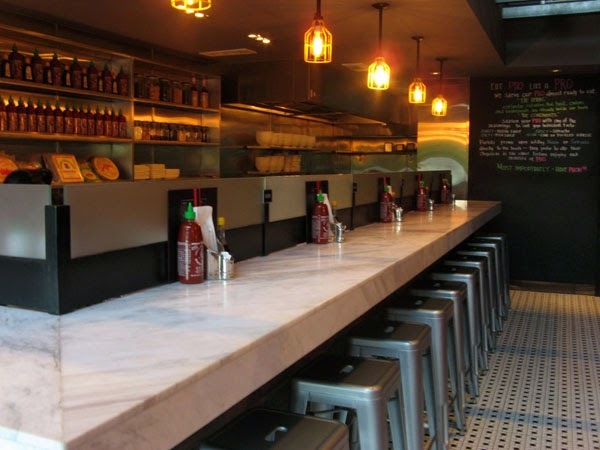 They do know now, that good food, especially at the Old Cul de Sac, is finally within everyone's reach." All these words read oink to me, but somewhere in the middle I understood he oinkingly liked it! 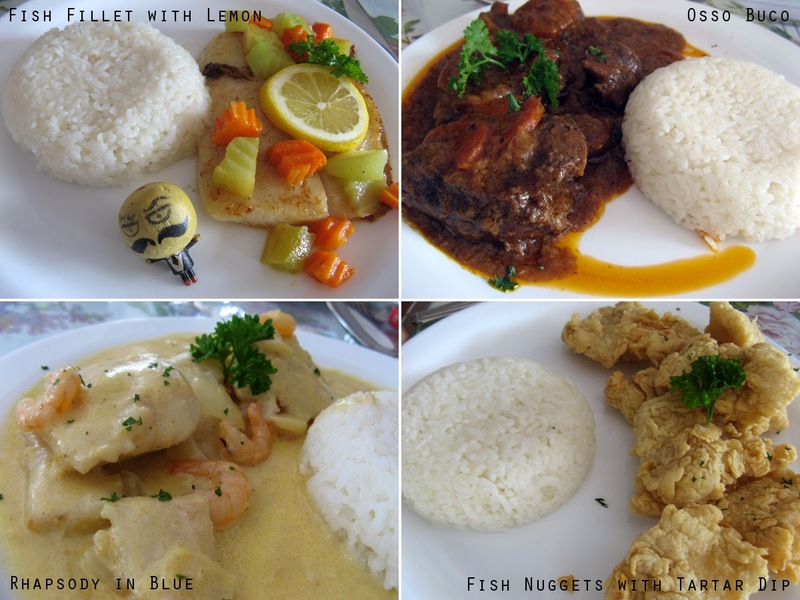 Miss Bee's Rhapsody in Blue (Php 220)? "Creamy. I love it." Ah, an insect of few words. And Mister Libby, the (fake) king of vienna sausages, who had the fish nuggets with tartar dip (Php 200), had this to say: "Cul-de-Sac is that dead end in one of Sto. Nino Village's junctions that I wouldn't mind finding myself at, once or twice in my lifetime. I recommend any of their fish meals and Osso Buco. If there was any of the food I tasted and least liked, it would be their pasta. 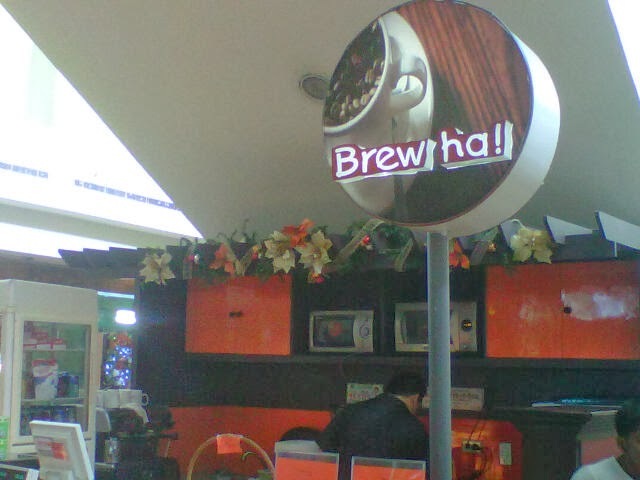 Nonetheless, taste is arguably relative." Yup, Sir Libby liked his food (better than Libby's Vienna sausage?). 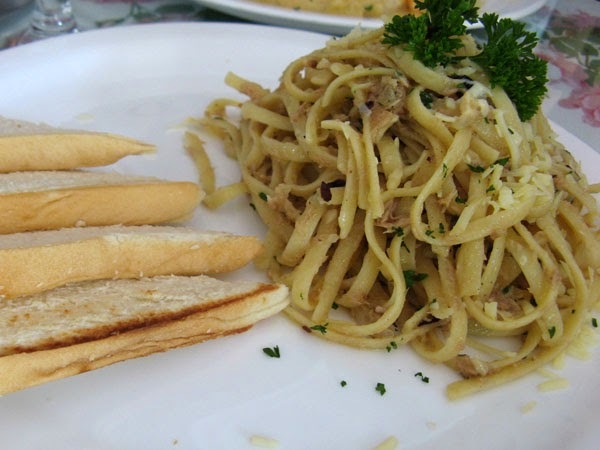 Except maybe for the Spicy Tuna Aglio Olio (Php 130). 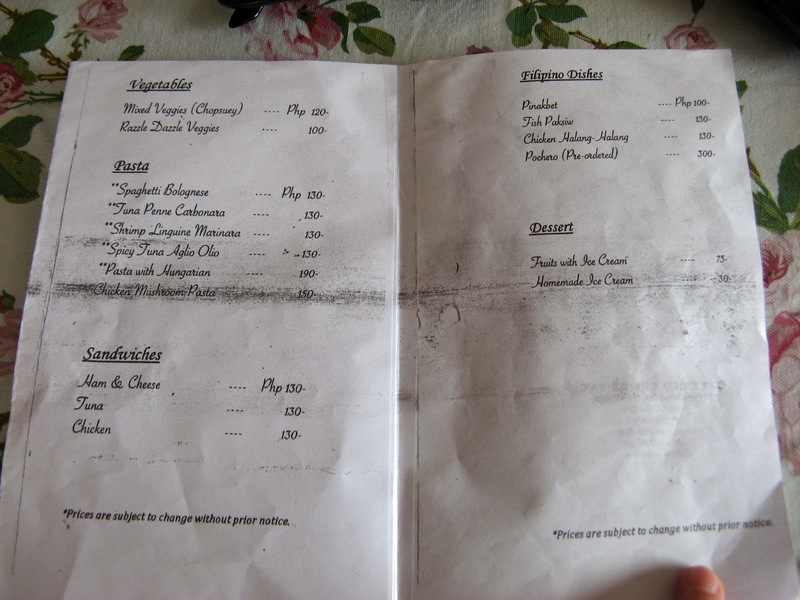 Each of the above, except for the pasta, comes with a cup of mushroom soup and a little bowl of mango ice cream. Cluttered cube. Papers strewn all over. The hairs of Mr. Mustachio's mustache are sticking out in all directions. Computer screen is idle. And then the computer screen pops "You got mail!" Mr. Mustachio clicks on the notice and out comes an email from ASAP, with the subject line "Invite to Aboitizland's Canso X: Soft Launching on Feb. 15, 2014"
Mr. Mustachio arrives and walks to the entrance of the Aboitiz Building in Banilad. He sees people milling about. After a few minutes of chitchat, the lady from ASAP wearing a pink collared shirt asks people to pile into the first van. In the van, Mr. Mustachio glances at his rear view mirror and sees Team Sweetie of Adrenaline Romance directly behind him. Sitting beside Team Sweetie is Baktin Corporation. On the row behind them sit some media people. And the last row are bloggers Lakbay Diva, Bisdak Explorer, and Habagat Central. One guy requests to swing by McDonald's because he is hungry. The rumbling in that guy's stomach is so loud that Mr. Mustachio abruptly turns the van's steering wheel to the left to McDonald's drive–thru in JY Mall. The sun is up, all bright and shiny, blazing down on the great green expanse of Canso X. The AVP (Assistant Vice President) of Aboitizland's Industrial Business Unit, Ms. Abad, shows the guests an AVP (audio visual presentation) of Canso X and what it has to offer: biking, hiking, and camping. While the AVP shows bikers in full gear shredding through the dirt track (see 0:29 of the AVP), scene fades to Mr. Mustachio clad in shiny new biking outfit burning through the dirt track himself. And doing stunts at that! 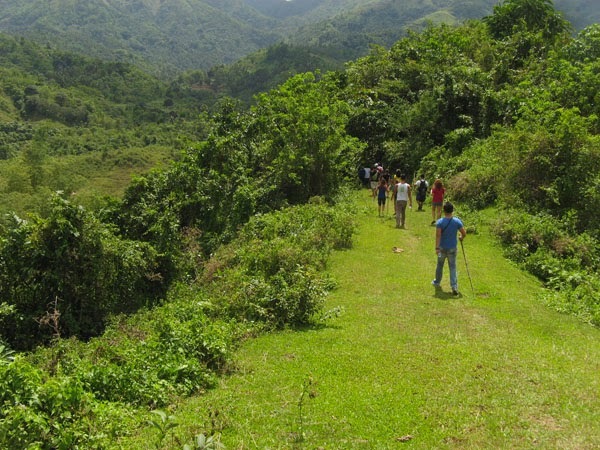 Scene switches back to the AVP which is now showing a group of hikers following the Cansomoroy River and then rappelling (see 0:38 of the AVP). Scene fades to black and it is now Mr. Mustachio donning the white helmet, orange life vest, and rappelling down (grinning and showing his great white teeth to the camera) to where five people are waiting. Back to reality at the Canso X soft launch, Mr. Mustachio continues watching the AVP at 1:06 (showing the restaurant, the food, and the playground), while eating bibingka and budbud, and downing it with sikwate (Cebuano hot chocolate drink). The AVP continues rolling to the scene of a campfire (see 2:17 of the AVP) and while Mr. Mustachio's eyes are on the AVP, his mind wanders to... a cold night with friends and they are sitting around the warm campfire roasting marshmallows, drinking beer, and talking about the day's crazy adventure of extreme biking, hiking, rappelling, and caving. The tents are set up neatly around the campsite. The sky is sprinkled with a million stars. The outhouse is conveniently located in case any of them have to do number two. Ah the beautiful outdoors. Mr. Mustachio snaps back to reality, looks down at his crisp white long sleeved shirt, purple necktie, faded denim shorts, and brown slippers with a hole on the right heel, and realizes he is not dressed for any of the activities. 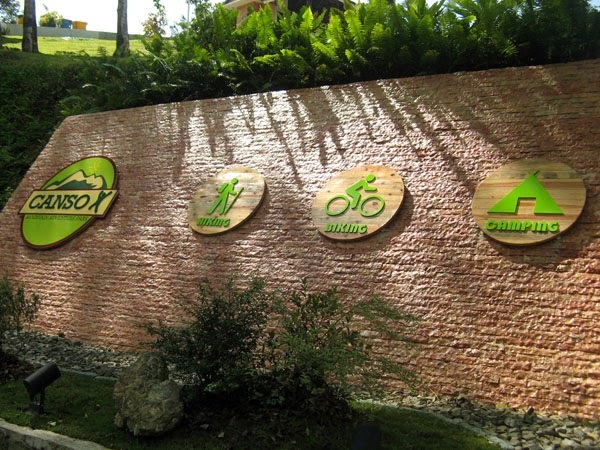 He looks forward to coming back to Canso X, this time dressed right for the activities waiting for him at the mountain adventure park, just an hour's drive (v–hires leave for Balamban from Ayala Center Cebu terminal) from Cebu City. 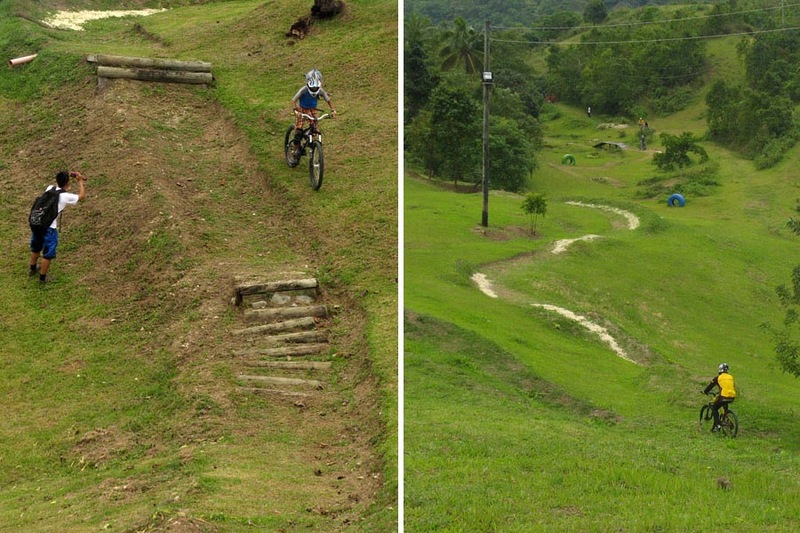 ♦ and drag along some friends to this mountain adventure park for a weekend of pluck and peril! PS. Do you know what the inspiration for Mr. Mustachio's secret life is? 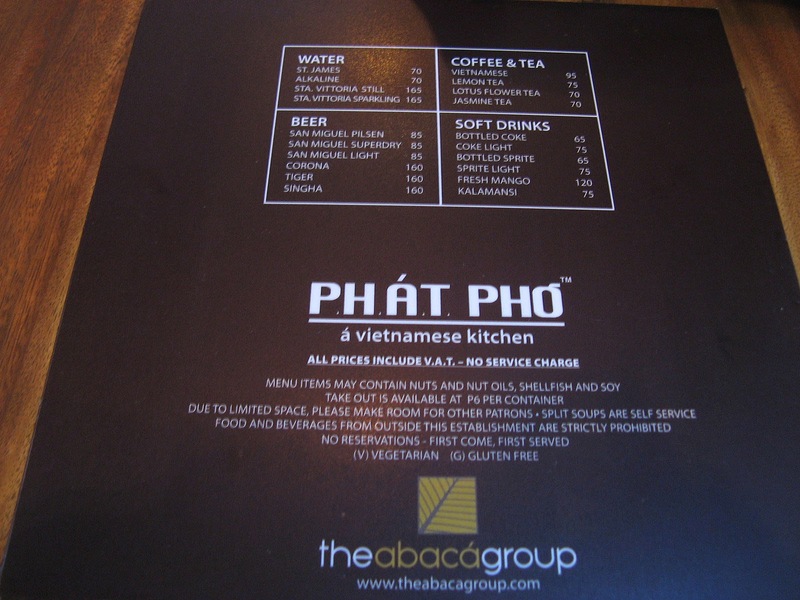 I hate you Phat Pho, you give me fat face! And a thin wallet. Can't it be the other way around: thin face and fat wallet? But really, I hate you so much that I love you. 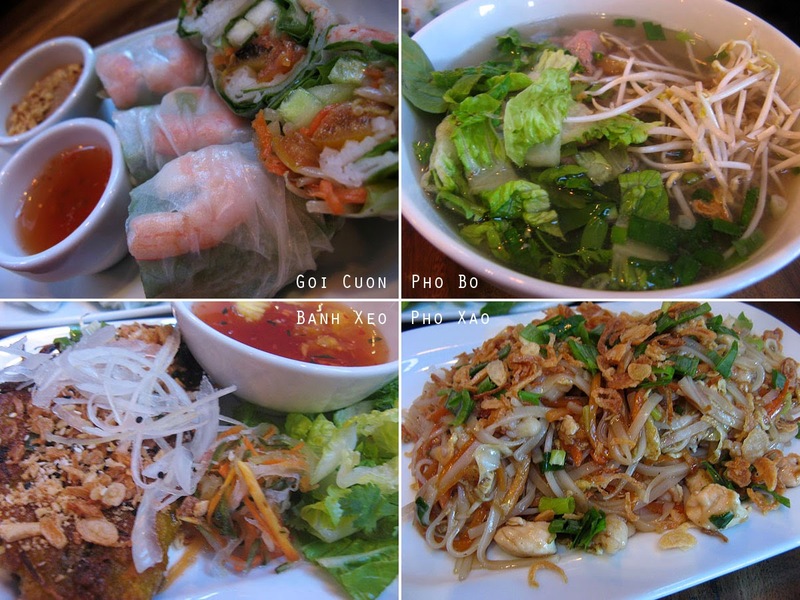 Of the handful of Vietnamese restaurants I have tried hoping to bring back memories of the flavors of Vietnam, it was you, and only you, who came closest. 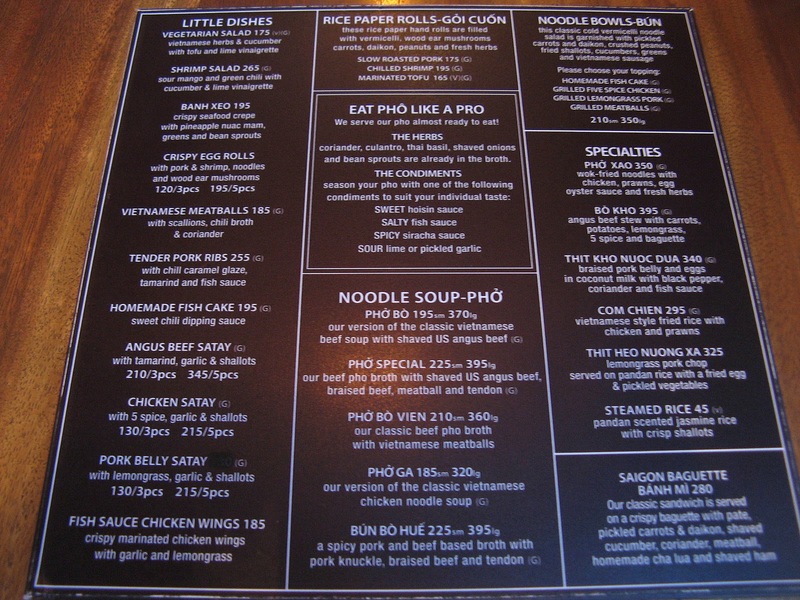 Pho sho. 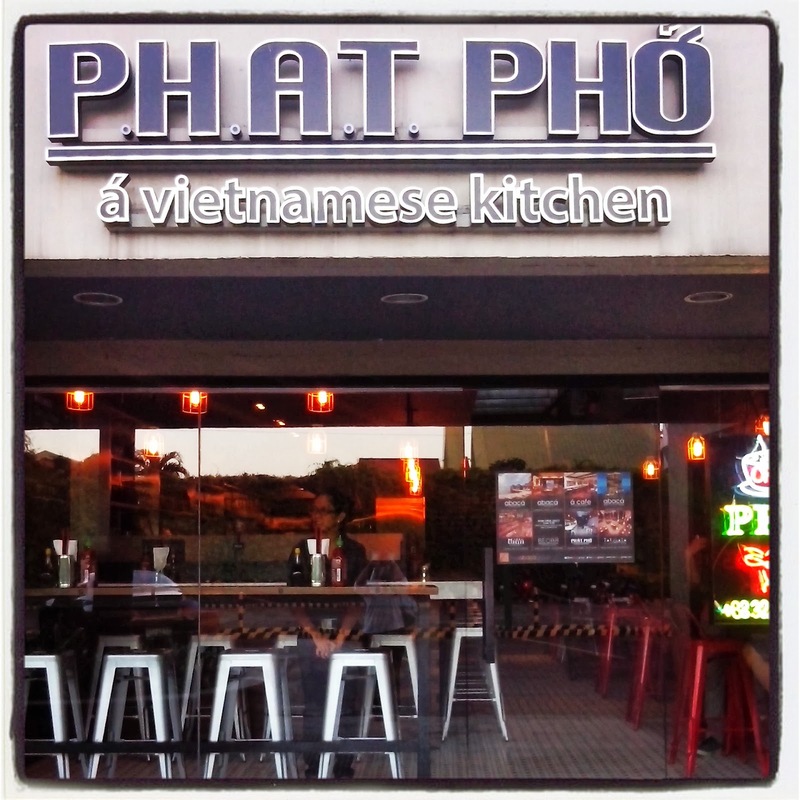 Sorry, Phat Pho does not take reservations. It is up to you to imagine how it tastes like. OR...get up and go get a fat face yourself. 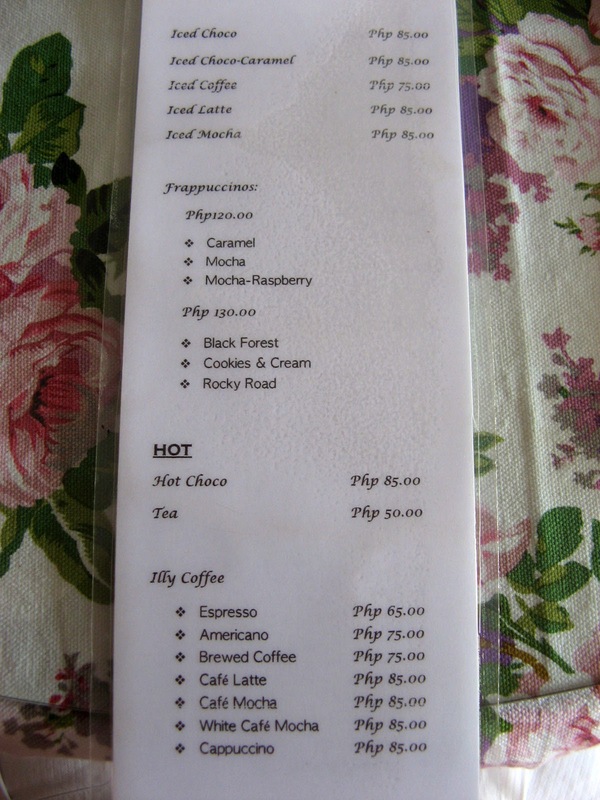 Many cupcake shops have popped up in Cebu, but I have only one favorite: Sweet Little Things. Sure, their cupcakes are pricey (Php 68 apiece / Php 158 for a box of 3 / Php 298 for a box of 5), but I wouldn't mind spending more than necessary once every few months. The way I see it, Sweet Little Things gives their cupcakes extra love: they don't scrimp on icing; they put real bits of fruit in their fruit cupcakes; they add a bit of surprise, such as a crisp top (which I have not seen from other cupcakeries) on their Mud Pie. I would like to think that each of their cupcakes is made with care. There are 11 sweet little flavors. 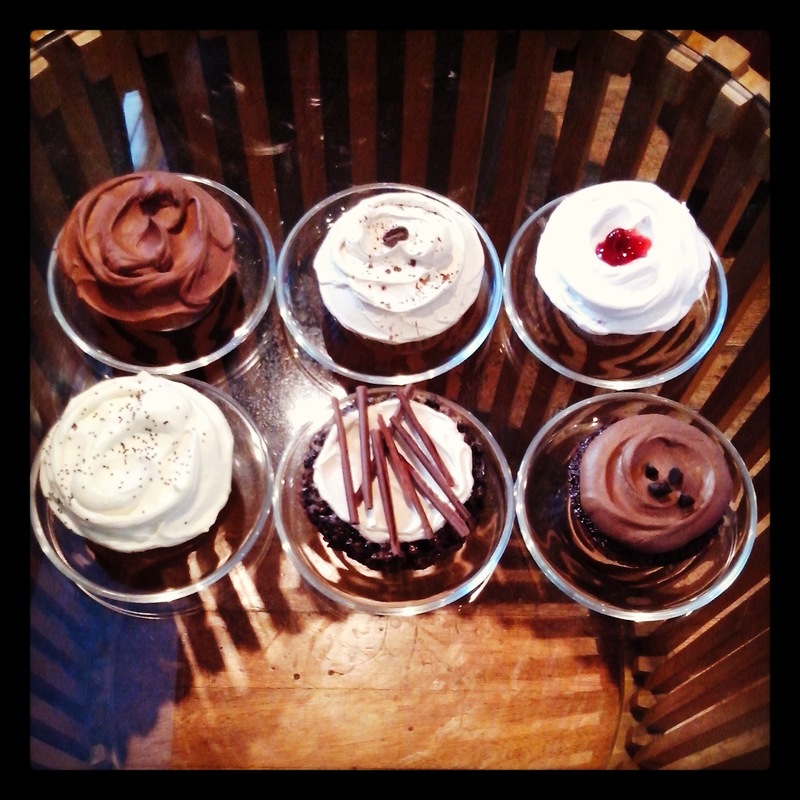 In the photo (clockwise from top left) are Monkey Business, Cappuccino, Strawberries and Cream, Truffle Chocolate, Dark Chocolate Mud Pie, and Lemon Poppyseed. Other flavors are Cinful Apple, Blueberry Crumble, Red Velvet, Triple Chocolate, and Cookies and Cream. My top three? Lemon Poppyseed, Strawberries and Cream, and Dark Chocolate Mud Pie. Sweeet! Had I known about the bus that plunged in the deep ravines of the mountains of Surigao del Sur a day before we traveled the same road (this piece of news from the owner of Spacebar Beach Resort, and according to him, there have been a number of accidents in the past, too), I would have taken the long way round: Surigao City–Butuan–Bislig–Cagwait. I am a scaredy cat like that. 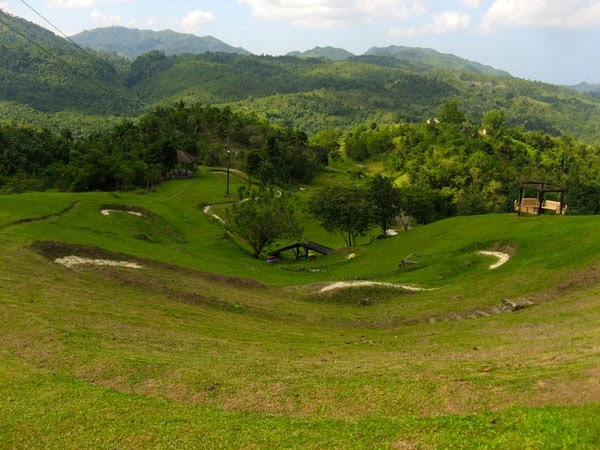 But because I did not know about it, I took the road from Surigao City down to Surigao del Sur on the dusty roads through mountains, and I got to my destination faster and, luckily, in one piece (thank you God and thank you Mr Driver sir). Sometimes ignorance is bliss.